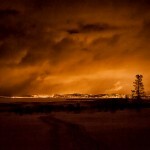 Home » Destinations » Europe » Norway » What’s It Like Sleeping in a Tent When It’s -20C? “Are you sure you want to sleep in the Sami tent tonight? You’re the only one in there and there’s plenty of space in the cabins if you want one,” said Reetta, the Lyngsfjord guide that was taking care of us overnight. Having already been told by some of the people staying in cabins that they were doing so because they’d read reviews that the tents were too cold to sleep in, I was a bit worried. The guide’s comments didn’t make me feel any more confident. But I’d come to Camp Tamok to sleep in a tent, so I was going to sleep in a tent. How many more times would I get a chance to sleep in a proper lavvu, a tent that the nomadic Sami herdsmen used to sleep in year round? The northern lights and my lavvu, lit up by the crackling fire inside. Despite the fact that the tent itself didn’t have a toilet, I was still set up quite well for the night. First, Reetta showed me the cabin, where she dropped off the other six people staying the night and where I would be eating breakfast the following morning. It felt so lovely and warm, but I still wasn’t (too) tempted. 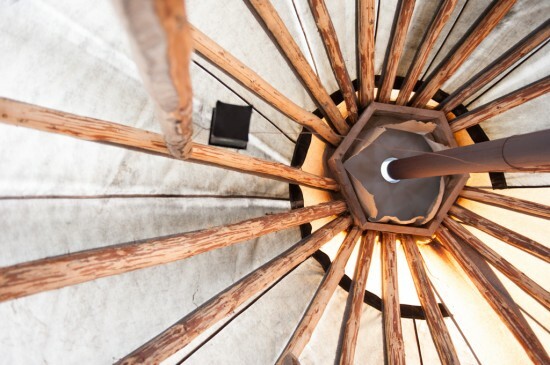 In the lavvu itself, I was pointed towards my bed of reindeer skins, one of many arranged in a semicircle around the central fire and divided by thin walls of cloth. 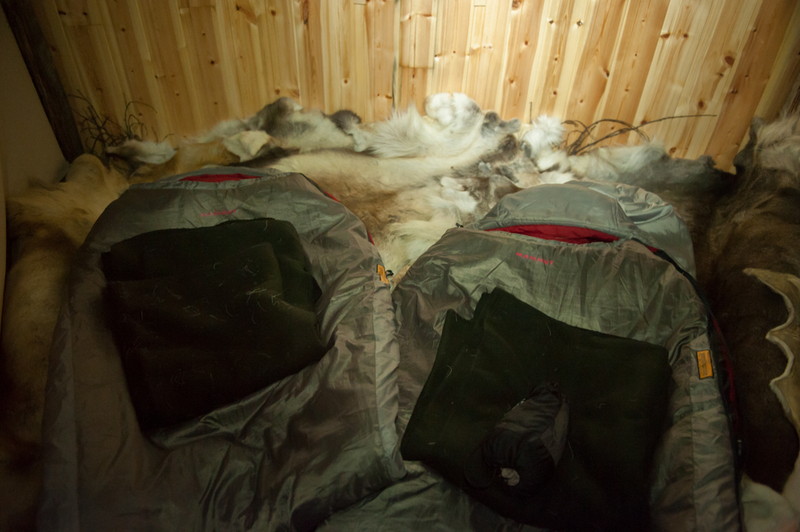 On each bed were two thick Arctic sleeping bags with folded sleeping bag liners on top. Reetta explained to me that she usually just sleeps in 1-2 layers of thermals inside the liner & sleeping bag, but since I was on my own, I could use an extra sleeping bag if I started feeling cold. We arranged that I would top up the fire until 3am and then she would do it every 2 hours after that. She originally was going to do it for the entire night, but I felt bad that she was having to walk over to the tent just for me. Plus, I would be out photographing for a while yet. Because I’d had to give back my warm Arctic suit after dogsledding, Reetta then took me down to the changing rooms to pick up another one (plus a set of really hefty boots). My many layers and jacket might have been enough to walk around in the -20C that the temperature had now dropped to, but I had felt the chill when standing still and photographing the northern lights earlier in the night. I didn’t want a lack of clothes to stop me from going outside, especially since it was the first time I’d seen them! It was a very good thing I got that suit, because it kept me toasty warm and let me stay outside to watch the lights as they slowly faded away above the mountains. That in itself was an amazing experience, and one of what would be many northern lights sightings to come. Importantly, though, having the Lyngsfjord suit on meant that I kept a bit of body heat around, so I didn’t get into my sleeping bag already freezing. The inside of the tent certainly wasn’t as cold as outside, but as I walked in and closed the wooden door, I could still see my breath. I piled up the fire as high as I could with freshly chopped firewood before taking off my outerwear and contemplating the sleeping bags before me. 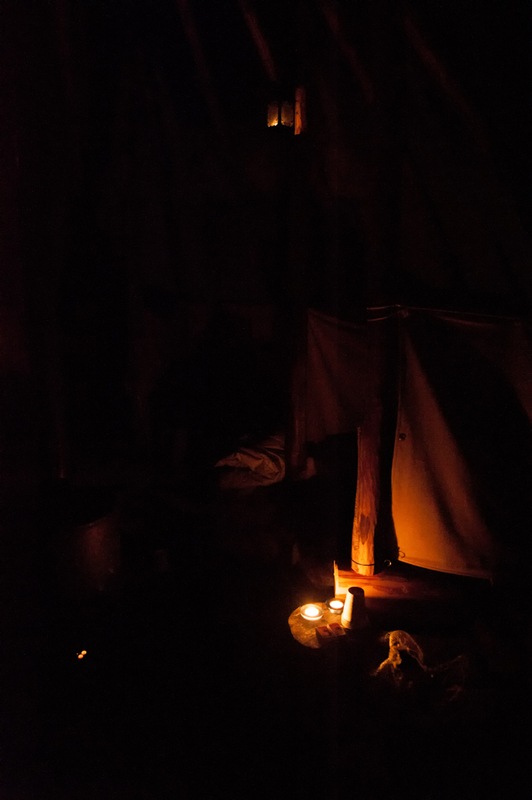 The inside of the lavvu, lit only by the glow of candlelight. Reetta had told me that she only wore thermals in the sleeping bag, but she was also from Finnish Lapland. I thought that if I only wore that in the sleeping bag I would spend the entire night shivering, so I wore a few more layers — big mistake. It turns out that, contrary to common sense, the less layers you wear in an Arctic sleeping bag, the better. One layer of thermals and a pair of socks is all you really should wear so the rest of the space in the sleeping bag can be filled with your body heat. I didn’t do that. Instead, I wore extra layers and piled on a second sleeping bag only to woke up around 2am not quite shivering, but certainly not warm either. The worst part was that I had to go to the toilet…and while it was only about 100m across the camp, going there meant that I had to go outside. In -20C. To a toilet block that was no doubt a similar temperature. Yay. A skier passes by the toilet block in the middle of the night. I contemplated putting on my Arctic suit but decided I’d just have to take it off again when I got to the toilet, which would mean even longer in the cold. So boots & other outerwear on, I sprinted over to the toilets and then removed anything that could fall down the longdrop toilet (beanie, headlamp). That toilet seat was the coldest thing I have felt in a long time, and I cursed myself for having drunk anything in the hours before I went to bed. At least there was still a faint hint of green in the sky as I walked back to the lavvu. With the memory of the seeping cold I had felt when I woke up, I piled on a third sleeping bag and curled up in my sleeping bag ski pants and all. This time, I stayed warm through the night, not even waking up when Reetta came in to stoke the fire twice. It would have been much easier to have one sleeping bag and some thermals rather than the veritable cocoon I’d made for myself, but I was happy and comfortable as I was. The roof of the lavvu early in the morning. It was a great feeling to wake up to the slight crackle of the fire, staring up at the wooden beams that joined in a conical shape at the top of the tent. I was truly in Lapland and had gotten a bit of a glimpse of how the Sami survived in a wilderness that sometimes threw -40 or -50C at them. 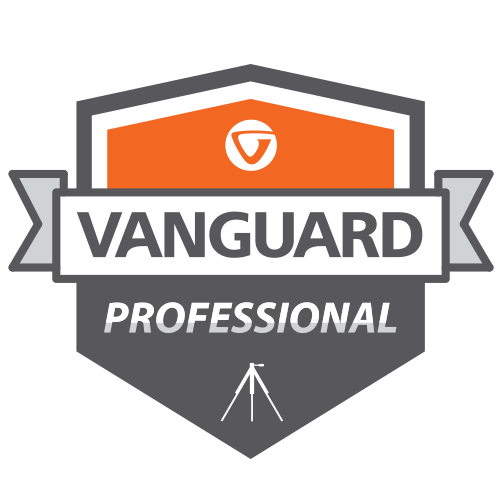 Sure, they wouldn’t have found themselves so wrapped in jackets & sleeping bags that they now felt like they couldn’t move their arms, but still…I’m very glad I chose the tent over the cabins! My lavvu in daylight, with little icicles hanging off of it showing the heat inside from the previous night. 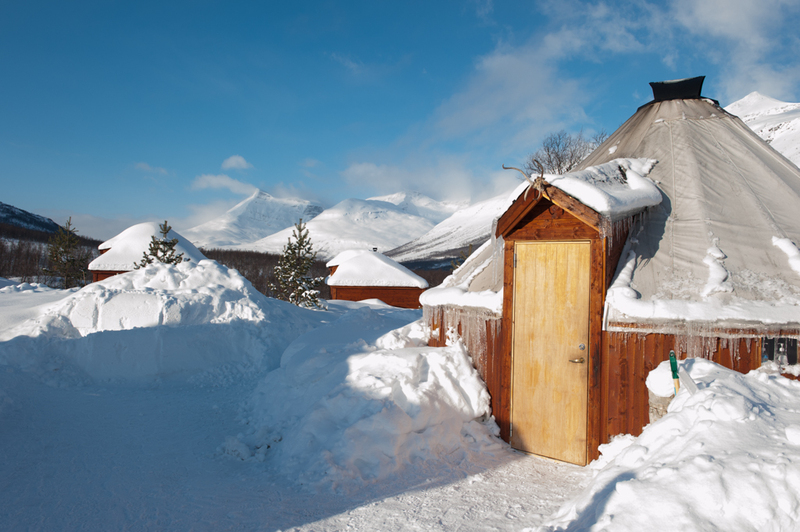 Would you sleep in a tent (with a warm fire inside) in subzero temperatures? 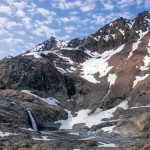 I stayed at Camp Tamok courtesy of Lyngsfjord Adventure, but all opinions stated here are my own. 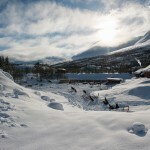 They offer day trips and overnight trips to Camp Tamok daily during the winter; prices for overnight trips start at 4385kr. This includes round-trip bus transfer (75 minutes each way), an evening activity, and a morning activity. 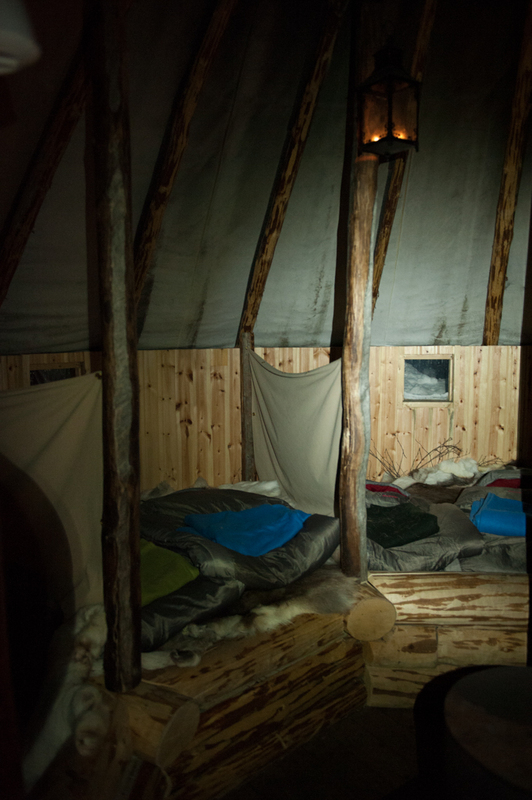 6 Responses to What’s It Like Sleeping in a Tent When It’s -20C? That’s it! Next time we meet I’m going to stow away in your bag! -10’c used to have me freezing my arse off, and I hated it. 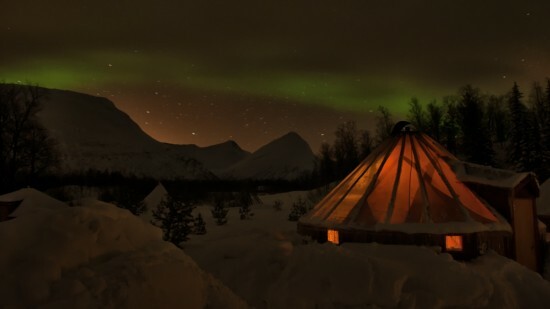 But I would do just about anything to see the northern lights one day AND sleep out there in one of them tents! Funnily enough, usually I’m freezing when it gets to about 5ºC in Brisbane (mainly because we have no heating and houses that are designed to get rid of as much heat as possible). 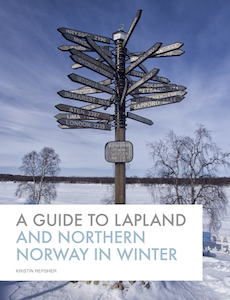 However, I loved this, and all of the other cold experiences I had in Lapland. 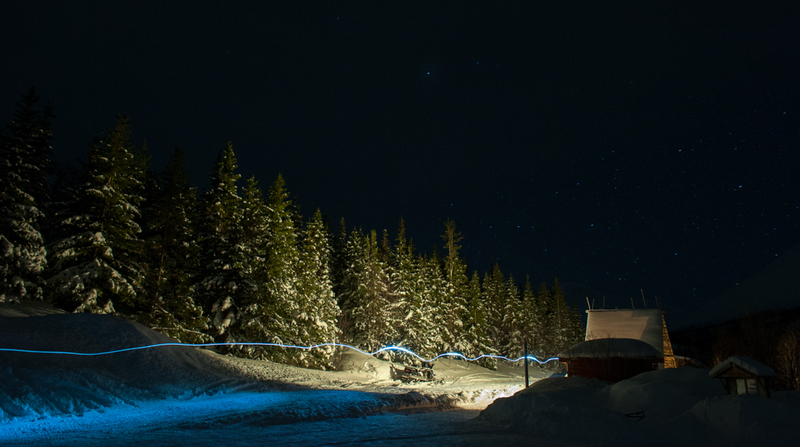 It sounds like a cold night’s stay, but certainly an adventure. If I had one of those Arctic suits, I think I would try the tent for a night. Hi Suzy, thanks so much for featuring me in Suzy Stumbles Over Travel this week! It was definitely an adventure that was best enjoyed in an Arctic suit. I’m very glad I did it, both for the experience and because it made me realise that I’d need to acquire another layer before I went to even colder Finland! Whoa, I even felt cold reading it! What was the temperature like during the day? Hi Angela! It was very cold at night…it’s hard to believe that it was still 18 degrees warmer than the coldest temperatures I experienced in Lapland! The temperature during the day was much more comfortable. I’d say it was around -5, although it could have been a bit colder (my face certainly thought so when we were snowmobiling!). It was quite a lot colder than Tromsø, which was only an hour away by bus. Apparently the coldest temperature they’ve ever had there is -18C! 3 Pingbacks/Trackbacks for What’s It Like Sleeping in a Tent When It’s -20C?